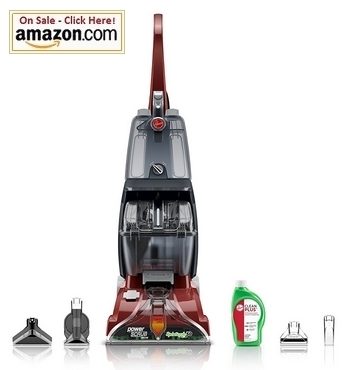 In this review we take a closer look at the Hoover FH50150 Carpet Basics Power Scrub Deluxe Carpet Cleaner to see why it is a best selling carpet cleaner on Amazon and what makes it so special. 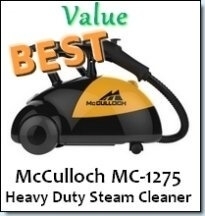 This great machine is perfect for smaller homes where you need easy maneuverability, quick set up and go ability and knowing it will do a great job at keeping your carpets, stairs and upholstery really clean. Don’t underestimate the Hoover Power Scrub Deluxe because it is better suited to smaller homes and has a very affordable price tag (yes!) 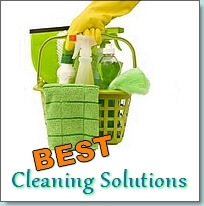 – it is a cleaning powerhouse and repeatedly out performs rental carpet cleaners. 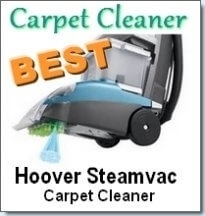 The Hoover FH50150 does an impressive job of washing and then rinsing carpets, stairs and upholstery. It weighs just over 18 pounds and has 4 handy places/handles to grab hold of to make it super easy to move around. The power cable is 20 foot long and winds up at the back for easy storage. It comes with a handy SpinScrub Powered Hand Tool, Stair Tool, Upholstery Tool, Crevice Tool, 16 oz Cleaning Solution and a Mesh Tool Storage Bag that sports a handy hook so that you can hang it in your storage cupboard. It has two tanks to keep clean and dirty water separate. This ensures easy filling, emptying and rinsing of the tanks. You will never have to face dirty tanks again as it is possible to reach inside the tanks to clean them. The Hoover FH50150 allows you to add the cleaning detergent and water separately to the tank and then mixes it automatically. No calculation or guessing needed to get the mixture just right anymore. It not only washes but has a rinse option to use afterwards to remove left behind detergent so that the slightly stiff fibers thing that happens sometimes are a thing of the past. 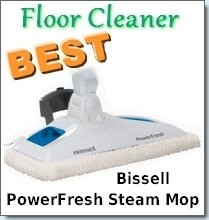 The 11.25″ nozzle provides equal and surprisingly strong suction to remove the mixture of water and detergent to leave the carpet surface near dry. The SpinScrub Brush System delivers an impressive 360 degree thorough scrub action to clean from every angle to take care of even the toughest dirt and stains. Emptying the tank with the dirty water is a breeze. When the tank is full and needs to be emptied there is a handy plug that you open to pour the dirty water out before continuing with the cleaning. After you are done for the day empty the tank a final time and only then remove the lid of the tank to rinse it and the sponge filter out. For those of us who always felt unhappy with the inability to clean the machine properly and felt disgusted with the stuff that tends to get stuck in the brushes it is good to know that every part of the Hoover FH50150 can be removed, cleaned and put back in place after it has air dried. The tank that holds the dirty water has a yellow stopper that pops up when the tank is full to let you know that you need to empty it before continuing. Suctioning will stop working until the tank has been emptied. This is a good feature but the stopper tends to pop up when you bump the machine against furniture or a wall as well. Putting the machine on the power cycle resets it but it is irritating. A work about for is it to remove the mesh filter that sits over the stopper compartment. It is however important to make sure you vacuum the carpet thoroughly before washing the carpet since you won’t have the filter to catch the ‘bits’ that the filter would have caught. Several uses reported that the hand tool with the spinning brush is not very effective. 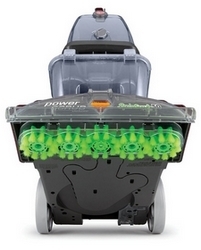 Most of the suction power is used to spin the brush weakening the suction power that removes the water. The upholstery tool is much more effective when you need to use a hand tool.